The Lagos-based distributed energy provider Rensource has launched Nigeria’s first solar micro-utility project under Powered by Rensource, a new B2B-focused offering for investors and developers. 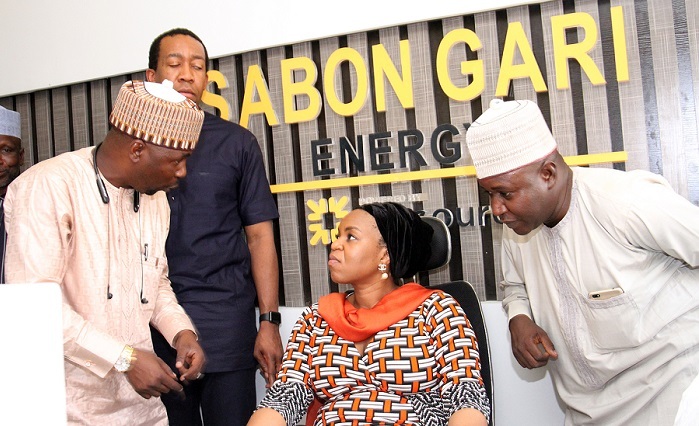 This first Powered by Rensource project debuted on February 8 at the Sabon Gari Market, where Rensource introduced Sabon Gari Energy, a micro-utility project that will provide power to over 12,000 shops in Kano, Nigeria’s second largest city. Rensource, which raised $3.5 million funding earlier this year from Amaya Capital, Omidyar Network and Sissli Limited, is Nigeria’s fastest growing provider of off-grid power. It offers clean, reliable power to consumers, small businesses and industrial clients through its subscription-based Power-as-a-Service (PaaS) model using solar-hybrid systems installed on the user’s premises. Powered by Rensource allows interested parties to take advantage of Rensource’s technology infrastructure, operational capacity, and financing to establish micro-utilities in localities throughout Nigeria. In doing so, Rensource is leveraging its platform to enable consumers and businesses to achieve energy independence. The startup aims to make Nigeria the first country in the world to rely predominantly on distributed, renewables-based power generation. “Rensource is delighted to leverage our technology infrastructure and operational capabilities towards demonstrating the viability of the sustainable, clean, and cost-effective provision of power for the shop owners at Sabon Gari Market,” said Ademola Adesina, founder and chief executive officer (CEO) of Rensource. Sabon Gari, one of the largest multi-purpose markets in Kano state, is one of the pioneer markets under the Energising Economies Initiative (EEI) of the Rural Electrification Agency. The EEI strives to showcase the transformative impact of providing efficient, clean, and sustainable power to strategic economic clusters across Nigeria, and to showcase the financial viability of these clusters to the private sector.